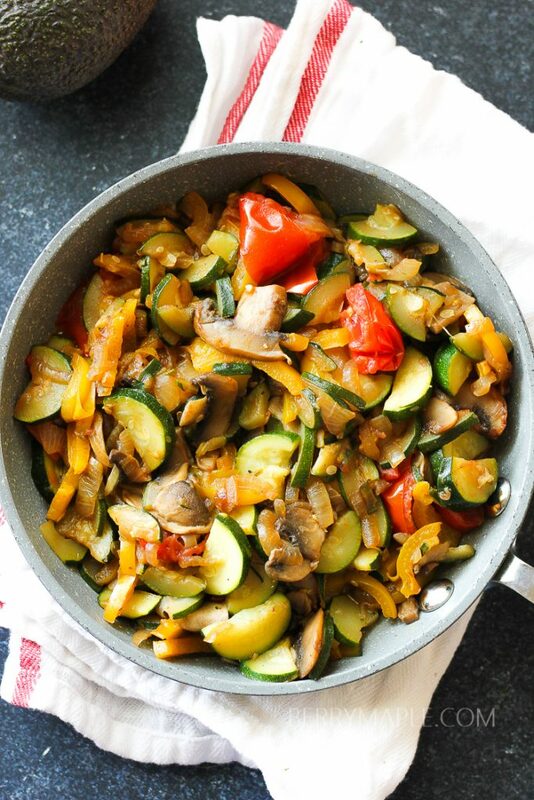 This easy flavorful sauteed vegetables will make a perfect side dish or a meal itself. What are best vegetables to saute? We always have vegetables in our fridge. Especially zucchinis- they make perfect frittatas and fries too! Low calorie and just healthy. You can make it a wonderful main dish! Just add Italian sausage or ground turkey or beef. Or even some yummy meatballs! 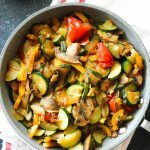 Vegetables in general are much less in calories then meat, which makes this dish a perfect choice for people who are trying to lose weight. 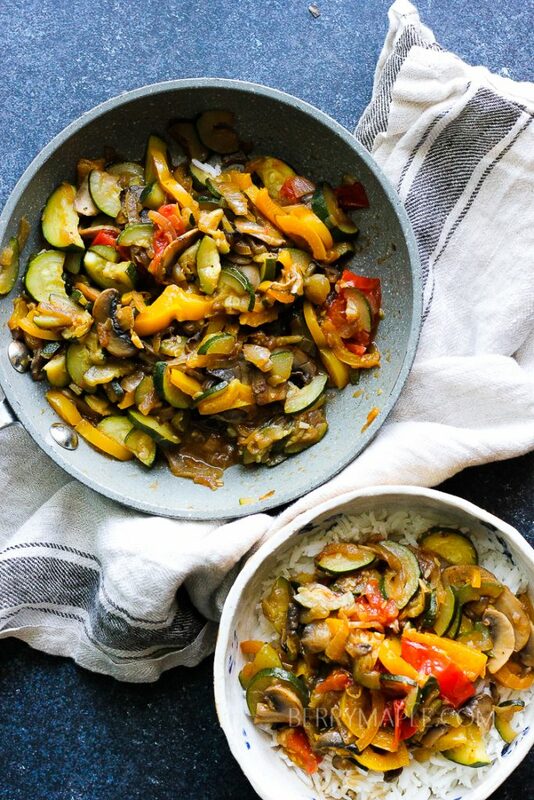 This vegetarian dish is also keto. low carb and just delicious! Great to top your rice bowl or over noodles. Let me tell you, my kids love it too! You can put it into your kids lunchbox or take to work with you. Its easy to reheat in a microwave too. Heat butter or ghee in the medium size skillet. Add chopped onions and cook over medium heat for 2-3 minutes. Add sliced bell pepper. Add salt, basil and freshly ground pepper. Cook stirring for 2 minutes. Add mushrooms and zucchinis, water or vegetable broth, stir and and cook for 7 minutes uncovered. Serve as a side dish or double and make it a main course!